If President Trump pushes for a partial shutdown of the government after the midterm elections to get money for his border wall, Democrats are confident they’ll come out on top. Republican leaders in both chambers have signaled they’re willing to fight Democrats for the money. House Speaker Paul Ryan and Senate Majority Leader Mitch McConnell said they want $5 billion for the structure, more than the $1.6 billion agreed to in the Senate. 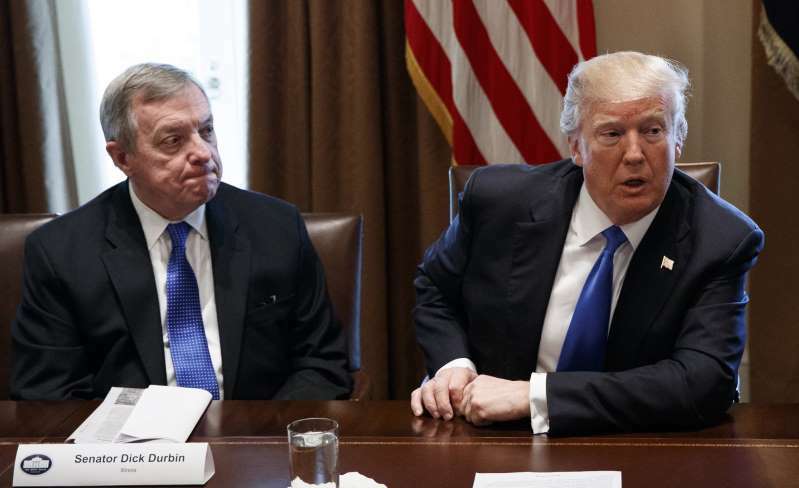 But Democrats will only entertain the proposal if Trump is willing to negotiate and include relief for recipients of the Obama-era Deferred Action for Childhood Arrivals program that Trump scrapped. But if Republicans stand by their demand for the money, and Democrats refuse to go along, the GOP-controlled Congress could force a partial shutdown of the Homeland Security Department. “Right after the election, we’re doing something very strong on the wall,” Trump said on "Fox and Friends" this week. Democrats are increasingly optimistic they’ll flip control of the House in November, giving them no incentive to concede to GOP demands. Murphy added that he’s “skeptical” the “stars will align in a lame duck” session of Congress for a deal on border funding in exchange for protections for young undocumented immigrants brought to the U.S. as children. “Anything having to do with immigration, speaking personally, the Dreamers should be a starting condition,” said Sen. Richard Blumenthal, D-Conn.
A tall border wall paid for by Mexico was one of Trump’s primary campaign promises, and if the president picks a fight over funding, Democrats intend to remind voters.